A drilling machine is a tool which is widely used by technicians in order to create holes in different types of surfaces such as wood, aluminum, steel and concrete. Drill machines are widely used in the construction industry and also by workshop based owners in masonry, marble cutting etc. They can also be used in a number of DIY projects. 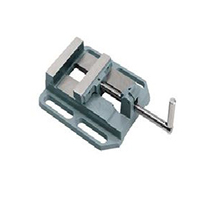 These devices are motor driven and come with an end cutting tool which is used for drilling through these surfaces. Drilling machines rotate and apply a hammering action while drilling. Once you switch to the impact or hammer mode, the drill bit will vibrate and push forward as rapidly as it turns backward. This makes the tools suitable for creating holes within a short period of time, even through hard walls of concrete. These power tools are also highly useful for creating channels in a wall in order to conceal wires and cables. Drilling machines are also suitable for use in specific industrial applications such as welding. They are used across different industries such as iron, steel, metallurgy, oil & gas etc. Drills which come with a hammer function are very useful for technicians. They offer them with the required power necessary in the case of applications such as masonry and building demolition projects. Therefore, hammer drills are suitable for use in different types of indoor as well as outdoor applications. 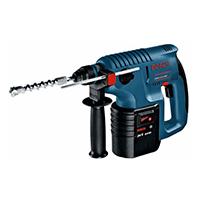 Moglix offers hammer drills online from eminent brands such as Bosch, Black & Decker, Cumi, Dewalt, Stanley, Eastman etc. 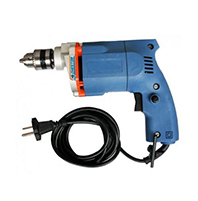 As compared to drill driver, a heavy duty option is not suitable to use in woodworking. Their extra power increases the danger of damaging timber. These drills make a loud noise. Therefore, you should wear ear plugs while using them. A rotary drill with a voltage of around 350W is the most viable option if you are looking for a tool specifically for woodworking purpose. The drilling machine prices at Moglix have been kept within a competitive range to suit the budget of technicians, plumbers, electricians, carpenters as well as home based users. A combi or rotary drill is a drill which has the ability to function multiple functions such as screw driving, hammering, impact driving etc. 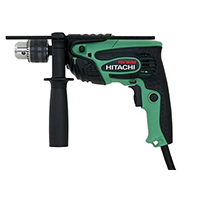 You can set this drill in a way similar to a hammer drill for drilling holes within tough surfaces. 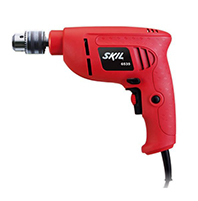 This type of drills can also be used as drill driver, both for drilling holes and also for driving screws. Because of their versatile feature, rotary drills are used in a wide range of industrial as well as workshop based applications. 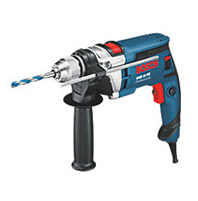 The rotary drills which are available online at Moglix have been created by brands such as Bosch, Dewalt, Eastman, Hitachi, Makita etc. This type of drills come with an impact mechanism which offers a high torque as well as high impact force. So, it is highly effective while driving screws into surfaces such as wood and metal. This mechanism ensures a high level of safety without any type of shrinking. The impact drills which Moglix offers have been created by manufacturers such as Bosch, Cumi, Dewalt, Eastman, Hitachi etc. Impact drills are best suited for use in cabinet makers and are ideal for use in DIY projects. They have the ability to drive screws with a higher level of frequency as compared to other drills. Impact drills are very strong and offer good control. They can also be used for renovation projects at home. Unlike the regular chuck bits, impact drills come with a hexagonal socket. It is always wise to use ear protection and safety googles while using such a drill. One thing that you should remember is that you cannot use an impact drill instead of a hammer drill. This because both these drills make use of different drill bits. Bench drills are ideal for drilling through lightweight surfaces. So, they are widely used in cutting and woodworking. These drills have a cast iron base and usually, come with a work table which offers a high level of stability and precision in drilling. New models of bench drills come with a depth adjustment system which makes them viable for users to have complete depth control. They come with an adjustable depth stop that makes sure that the measurements taken are perfect and repetitive drilling can be done. The bench drills available at Moglix have been produced by brands such as, Bosch, KPT, Skil, Turner, Hitachi etc. Bench drills come with a vertical drill stand which makes them user-friendly. 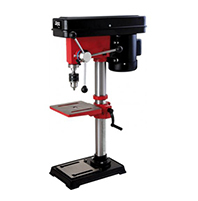 A drill press is a type of tool which is used to drill or expand a cylindrical hole within a workpiece. Though mainly used for drilling purpose, it is also suitable for use in applications such as counter boring, tapping, reaming and countersinking. Drill presses are highly valued by carpenters for their proficiency in drilling precise holes with the exact widths, angles and depths that a design requires. Drill presses come with a depth-stop which automatically prevents it from sinking too deep within a wooden piece. The collection of drill presses at Moglix includes products which have been sourced from brands like Hitachi, Groz, Ferm etc. Core drills which are used on concrete surfaces are called diamond drills. They are widely used in the construction industry in order to create holes in pipes, manholes etc. Diamond drills are highly effective in creating holes on surfaces such as glass, gemstone, ceramic, porcelain, tiles, hardwood etc. The smaller versions of these drills are also widely used in jewelry making. However, diamond drill bits are not suitable for use on metal and soft wood surfaces. The diamond drills offered online by Moglix have been produced by brands such as Makita, Dewalt, Skil, AEG etc. Angle drills are ideal for use in areas which cannot be accessed easily. They come with batteries which have a long lifespan. These batteries can be charged irrespective of the charging state at any point of time. They are best suited for use in workshops and DIY projects. Moglix has collected angle drills online of the latest models to meet the needs of buyers. The present range of angle drills available at Moglix have been procured from brands such as Cheston, Makita, Metabo, Josch, John Ciaz, Fein etc. A magnetic drill is normally used in workshops and industrial sites for portable drilling in structural steel. 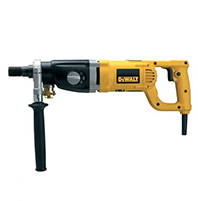 These power drill can be easily positioned for horizontal drilling, vertically or upside down. The latest versions of mag drills come with a cooling liquid which ensures adequate drill bit cooling. They have an ergonomic soft rubber knob that makes smooth operations possible. The magnetic drills available at Moglix have been sourced from brands such as Metabo, Ralli Wolf, KPT, Skill, Milwaukee etc. Hand drills are best suited for use in craft projects. These power tools are small and compact and are equipped with a rotating drill bit which comes with a handle at one side. Once the handle is turned, the chuck and bits also turn. You need to hold the drill vertically to acquire a high level of accuracy. A number of them come with breastplates that can be used to guard the user’s chest. It helps in stabilizing the drill and apply a downward force. Corded Drilling Machines - This type of drilling machines is ideal for people who have more experience in doing heavy work. They offer extra power and torque, unlike their cordless counterparts. 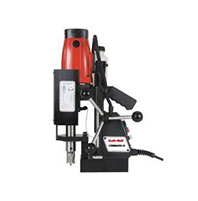 The corded drilling machines are suitable for use on a day to day basis in workshops and factory settings. They also come with greater features as compared to cordless models. Using a corded drill, you won’t be stuck in the middle of any project. They are widely used in heavy-duty jobs like masonry. 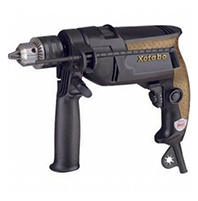 Cordless Drilling Machines - Cordless drills are ideal for DIY projects. 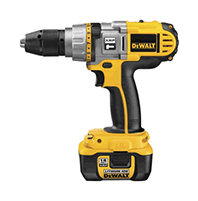 A cordless power drill which comes with a rechargeable battery would be a viable option. Though they are less powerful as compared to corded drills, these tools are lightweight, user-friendly and safe to use. For time-consuming jobs, you should also use a second battery or drill that comes with a quick change function. This will ensure that you don’t have to wait for the battery to get recharged. Compared to corded drills, cordless drills have greater flexibility and are more convenient to use. They can be used in places which are not easily accessible such as ladders, trees etc. So, they are suitable for use by home-based users. What Type of Batteries Do Drilling Machines Have? Normal cordless drills use nickel cadmium (NiCd or NiCad) and Lithium-ion(Li-ion) batteries. Li-ion batteries are smaller and lightweight as compared to NiCd batteries with the same voltage. They can hold a charge for many months even when they are not in use. Therefore, they are widely used in home based projects. Li-ion batteries are also free from toxic cadmium which can percolate into ground water in case NiCd batteries are thrown into the trash rather than being recycled. However, lack of know-how to use li-ion batteries could cause death. Moreover, many lithium batteries cannot be easily replaced since they are highly expensive. What Factors Should You Keep in Mind While Looking for Drilling Machines?